Liam Towills of Bath based rotary precision measurement company RPI UK has received an Aerospace Ambassador Award. 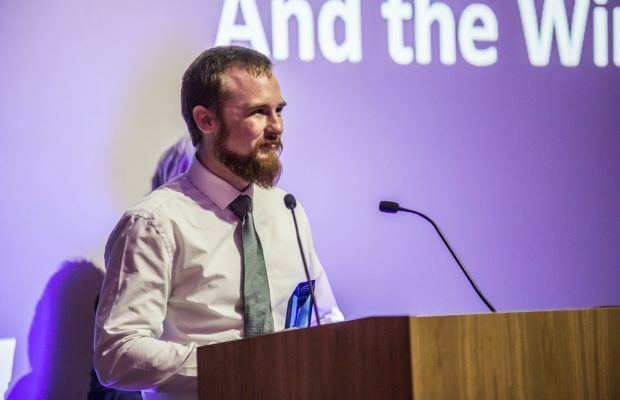 He secured the ‘Best Young Aerospace Entrant’ award on Wednesday 27 June, as the stars of the South West aerospace and defence sector were celebrated at the second WEAF Aerospace Ambassadors Awards under the wings of Concorde at Aerospace Bristol. RPI UK is based on The Maltings Industrial Estate, Brassmill Lane, Bath and has been established since 1940. It is a world leader in developing and manufacturing precision positioning devices for higher accuracy rotary and angular inspection. Pictured above: Liam Towills, winner of the Best Young Aerospace award at the West of England Aerospace Forum (WEAF)awards.